Following days of media speculation, the commercial arm of the BBC has confirmed the BBC Store is closing. The site will no longer accept new orders and since early afternoon on Thursday has been displaying a closure message. 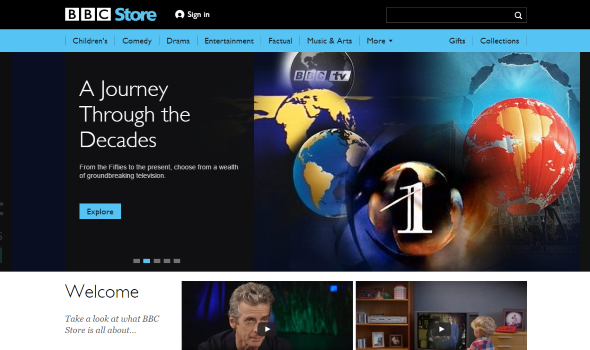 The BBC Store will go completely offline in November. Links to the store from the BBC iPlayer are to be removed over the course of the next few days. Customers who have bought downloads of BBC programmes to buy and keep will be fully refunded or offered Amazon Prime vouchers to re-download their programmes. The move is expected to cost site owners BBC Worldwide several million pounds, with BBC Worldwide hoping to recoup the money through selling BBC programmes via more popular stores, including iTunes and Amazon. The cost of the closure will come out of BBC Worldwide's pocket, meaning licence fee payers will not bear the cost. Last year, the BBC Shop, which sold physical copies of BBC programmes, was closed after a strong decline in the market for DVDs of programmes. The BBC Store was only opened in 2015, but delays in launching the service meant that viewers had long become accustomed to downloading programmes from app stores and established online retailers rather than the BBC site.